With a deep understanding of every level of the Rhode Island and Massachusetts legal systems, Rhode Island criminal attorney, Thomas Thomasian knows what it takes to win and will not stop fighting for his clients until every legal avenue has been exhausted. His dedication and client-focused service has not gone unnoticed. In 2014, 2015 & 2016, he received the Avvo Clients' Choice Award, an honor that was based on achieving a large volume of outstanding client reviews. Challenge your criminal charges - contact his Rhode Island defense firm as soon as possible. Whether you are facing accusations of DUI, domestic violence, shoplifting, or another type of criminal offense, you could be facing penalties that include jail time, expensive fines, probation, and life with a criminal record. Don't make room for a conviction without first putting up a fight! The Law Office of Thomas C. Thomasian, Esq. can help you take a stand in defense of your rights. 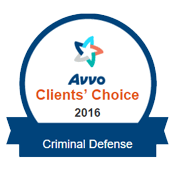 When you hire Thomas Thomasian, you are selecting an experienced and highly successful criminal defense attorney with a Superb Avvo Rating. 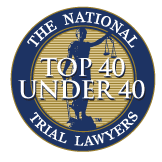 He was voted a Top 100 Criminal Defense Trial Lawyer as well as 10 Best in Client Satisfaction and is a member of the National College for DUI Defense ®. Attorney Thomasian, founder of the Rhode Island criminal defense firm, has been representing accused individuals for years, and he has done so with successful results time and time again. If you have been accused of violating the terms of your probation order, he can also help protect your rights in court. He has won several probation violation hearings, achieving freedom for his clients while at the same time restoring their reputation within the community. Do you wish to seal or clean your criminal record? He can guide you through the expungement process so that your criminal past no longer casts a shadow on your future. The Law Office of Thomas C. Thomasian, Esq. is proud to serve clients located in Providence County, Kent County, Washington County, and Newport County.